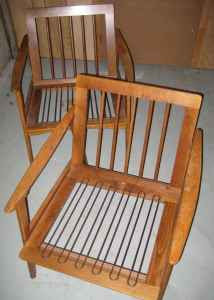 oh just a couple of things i'd like to buy off of today's craigslist postings... a set of vintage teak armchairs for $60. i don't even care if they have cushions or not, so classic! and they're worth their weigh in teak firewood&kindling. you'd be losing money by not buying them. 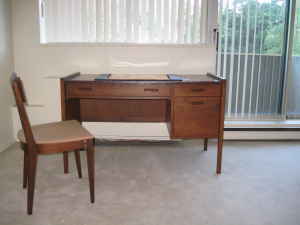 and check this really really nice desk for $110. guess what? i'm not going to buy any of it. wonder why? i have a very small house (900 sq ft) already filled with three desks, and probably over 20 chairs, i haven't counted for a while. so if you live in the montreal area, please rescue these lovely pieces of furniture, they're a steal.